President Trump has claimed for decades that a single $1 million loan from his father, Fred Trump, set him on the path to becoming self-made billionaire. But a new exposé by The New York Times alleges Mr. Trump's claim falls about $400 million short. A year-long New York Times investigation published Tuesday unraveled the web of tax tricks that helped the president draw the equivalent of $413 million in today's dollars from his father's real estate empire. The Times alleged that Mr. Trump engaged in "dubious tax schemes," including "instances of outright fraud," to secretly reap from his father's fortune. 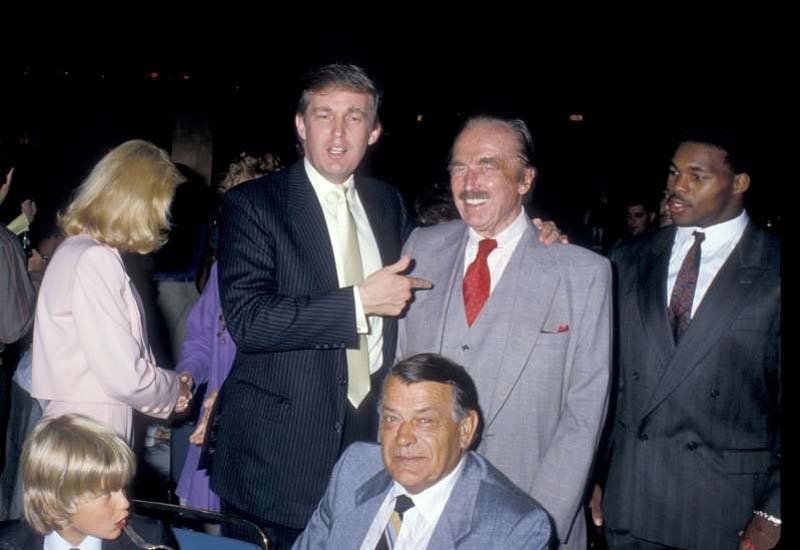 As Mr. Trump boasted about building an empire on his own business acumen, he was for decades benefiting from partnerships, deals, dodges, tax breaks and apparent schemes all orchestrated by his father, according to the Times. And when Mr. Trump's own businesses hit hard times, his dad sometimes swooped in with a few million dollars to help him. The documentation and reporting has not been corroborated by CBS News, and the White House has pushed back on the report, calling it "misleading" and saying the IRS signed off on the transactions. The report notes, though, that Mr. Trump and his father were often misleading the government and investors about multimillion dollar transactions. Mr. Trump claims he only received a $1 million loan from his father. But his father had already made him a millionaire when he was just 8, through trusts and partnerships, according to the Times. When Mr. Trump was just 17, Fred gave him part ownership of a 52-unit apartment building. Soon after Mr. Trump graduated from the University of Pennsylvania, he was already receiving the equivalent of $1 million a year through arrangements from his father. After a series of deals that helped all of the children, Mr. Trump had emerged as the heir apparent for the family business, and Fred started cutting deals that benefited him alone. The two formed a partnership to build a New Jersey high-rise — with the help of a nearly interest-free $7.8 million government loan — and Mr. Trump received most of the financial benefits, eventually earning the equivalent of nearly $305,000 a year from that property alone. Fred also helped Mr. Trump pile on consulting, management and lease fees. By 1975, when he was 29, Mr. Trump received today's equivalent of nearly $9 million from his father, the Times reports. By 1976, Mr. Trump was claiming in the press that he was personally worth more than $200 million, and by the '80s he was recognized as one of the richest men in America. But the Times reports that through all of that time, he was still on his dad's payroll and heavily dependent on his empire. In the early '80s, after entering his 30s, Mr. Trump still received a $260,000 annual salary from his father, in addition to millions reaped from his father's trusts and deals. Mr. Trump by this time owed at least $11 million in loan debt to his father, and would have had to pay millions in taxes if he canceled the debt, according to the Times. So Fred bought a 7.5 percent stake in one of Mr. Trump's condominium buildings in the Upper East Side, totaling $15.5 million. Four years later, Fred sold this stake, apparently to Mr. Trump, for only $10,000. The Times reported that this was a potentially illegal tax write-off. Fred came to his son's rescue again after Mr. Trump overspent on renovations for his Trump's Castle casino in Atlantic City, leaving him unable to fund a $18.4 million bond payment. Fred dispatched one of his bookkeepers to purchase $3.35 million worth of casino chips and then leave without placing a bet. Under New Jersey gaming laws, this counted as an illegal loan and led to a $65,000 civil penalty. Fred later wrote a $150,000 check to further help his son's casino, according to bank records cited by the Times.